Florida’s extraordinary coastline, bedecked with its own delicate necklace of seafoam washed gently ashore during high tide, depositing treasures among the foam, is the inspiration for the Beachcomber Lariat and Charm Bracelet. The undulating texture of the soft cotton yarn and the shifting pattern created by different length drop stitches evoke the ripples left in the sand as the tide retreats. 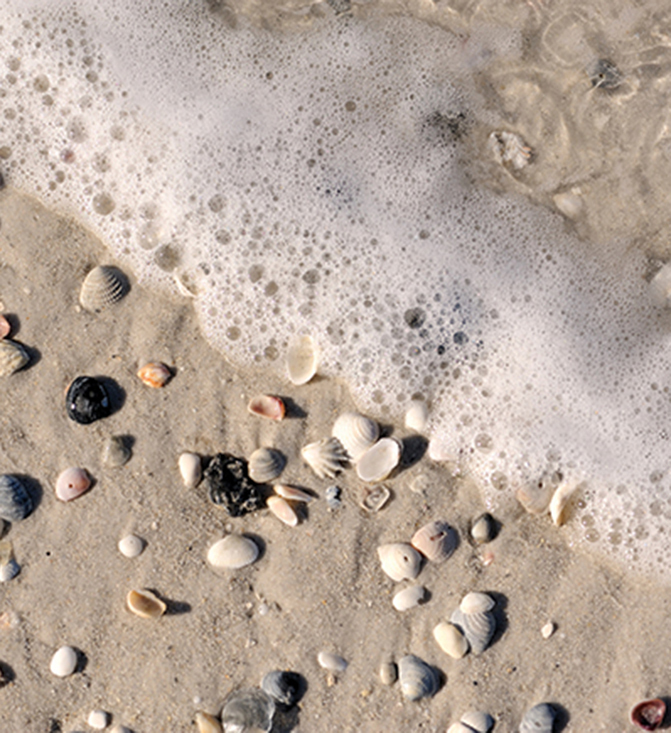 The sea glass, shells, pottery shard and driftwood “beads” can be purchased or taken from your own collection of beach treasures. Knit it wider for a shawl, or keep it skinny and wrap, wrap, wrap it to decorate your own lovely neck. 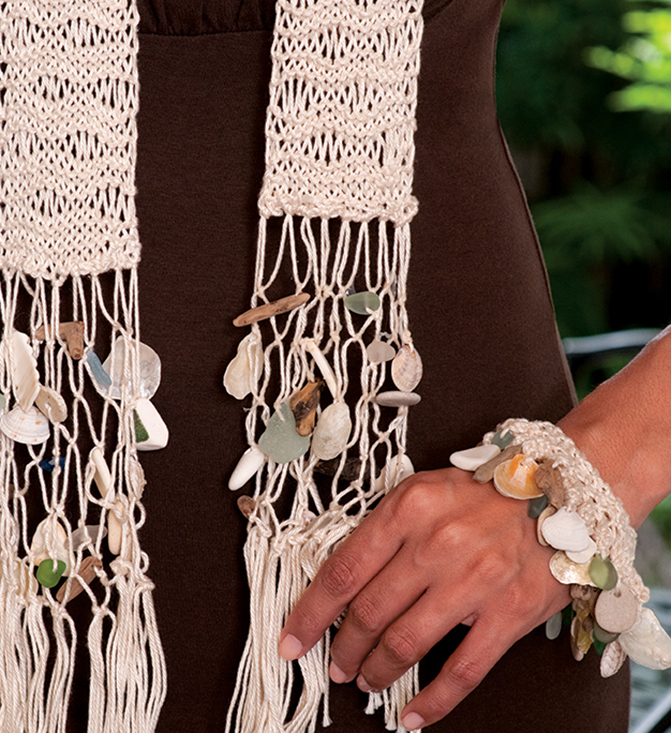 The matching bracelet shows off your beach treasure collection and tinkles gently as you move. Perfect for when you’re stuck in the snow, but dreaming of the tropics. Finished Sizes: Lariat is approximately 3” wide by 92” long (7cm x 2.3m), including fringe. The bracelet is sized for S/M (L/XL) wrist and finished size is 7 (8)” [18 (20)cm].